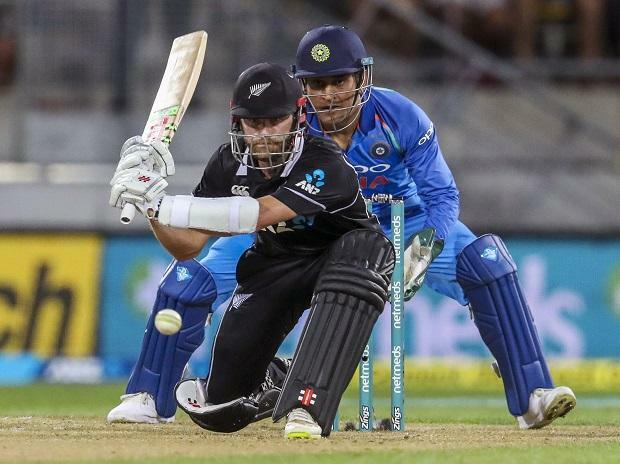 New Zealand skipper Kane Williamson Sunday said he was left heartbroken after realising his mistake of not opting for DRS when Ross Taylor was ruled LBW by the on-field umpire during the fifth ODI which India won by 35 runs here. "I heard about that not long after I got out which is extremely frustrating. We had a conversation and Ross has been batting absolutely beautifully so it breaks your heart when you realise you make a mistake like that through communication," Williamson said at the post-match conference. The duo had 15 seconds to challenge the decision but with no indications from Williamson, Taylor walked back to the pavilion. "Yeah, he walked past me and asked, 'what do you reckon, and maybe it's too high, and maybe it's umpire's call,' and unfortunately it's one of those things that we move on (from)," Williamson said. "Um, yeah he was batting beautifully. Obviously he didn't try and get out like that. It's one of those things, it is a shame. As he was going so nicely there was that hope and that partnership with him and Santner," Williamson said. "I think throughout this series India were far better at that than us and as a bowling unit they were superb -- their accuracy from a seaming and spin perspective did put us under that sort of pressure. "To be honest, over these five games, we've been put under pressure a lot and it obviously challenges decision-making which although we're on the wrong side of the results 4-1, which India fully deserve." The Kiwi captain conceded that his side failed to soak in the pressure throughout the series. "We knew it'd be a challenge but saying that when it is 250, there isn't the scoreboard pressure, so if we're able to get partnerships then we could take the game deep and we were confident and been able to chase it down." "They (India) were able to pick up wickets at key moments which made life a little bit difficult. I thought the first half from the bowlers was outstanding and in the last two games they've really stepped up which is pretty nice. We saw some chances, but for the large part they were able to soak up that pressure and take the game to a stage where they could knock some hard runs." Asked if his team grew complacent after getting Dhoni's wicket, Williamson said, "We've seen throughout the series how good India are and you do need to be playing good cricket for a long time, not just a few dismissals. "MS is a big wicket but as we've seen today there are a number of other guys that are outstanding world-class players. We've seen throughout the series.